Feeling worried, anxious or need something to hold? 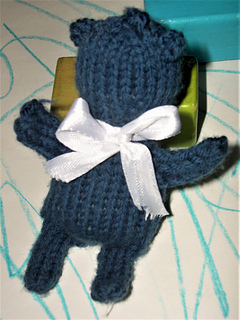 Worry Bear is designed to fit in your hand or pocket. 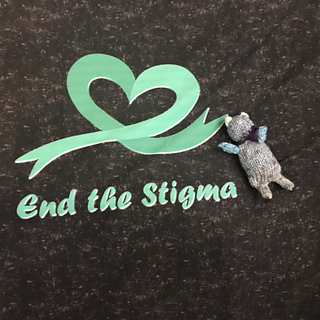 Soft, squishable, and easily hidden, Worry Bear can help you share your worries, so you feel calmer. 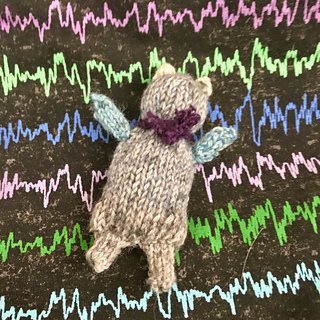 This is an ideal fidget tool for anyone with anxiety or neuro-diverse challenges like ADHD, Sensory Processing Disorder, Autism Spectrum or Alzheimer’s disease. 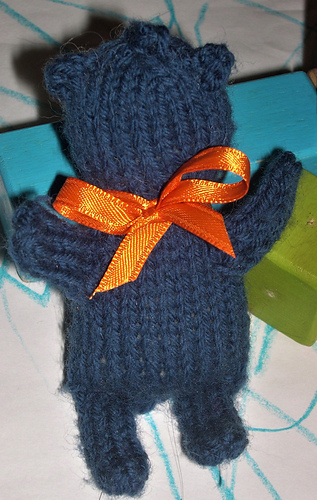 Make a Worry Bear for someone you love or to offer your nearest hospital, school, or beyond. This is perfect for using up odds and ends. 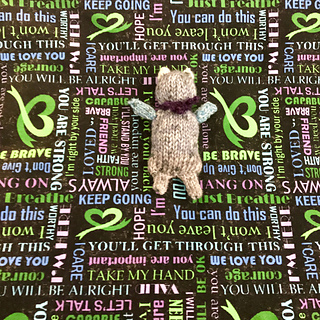 This is ideal for an advanced beginner or intermediate knitter; to knit Worry Bear, you’ll need to knit in the round, purl, increase, decrease, slip stitches, and do a three–needle bind–off. • Row gauge is not important for this pattern; nearly all measurements are given in inches/cm as well as in rows. • Gauge is not as important here as creating a firm fabric that will stand up to being stuffed and handled a lot. Select a needle size that is at least 2 or 3 sizes lower than called for on the yarn ball band when in doubt. 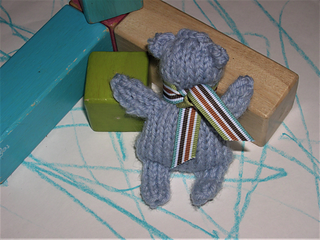 When choosing yarn, remember that Worry Bears often get dirty or end up in pockets and may take trips through the washing machine and dryer. It’s good to use machine washable materials so your bear doesn’t felt or shrink by accident. Approximately 55 yards/50 meters of machine washable sport weight or DK yarn that knits to gauge. 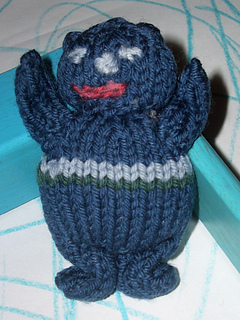 If you knit a bigger bear than described here, you’ll need more yarn. Note: Rowan Pure Wool DK is discontinued, but has been replaced by Rowan Pure Wool Superwash DK, which knits to the same gauge and has the same fiber content. Note: These pattern samples were worked entirely with dpns. You can choose to use magic loop or another technique if so desired.